HA! 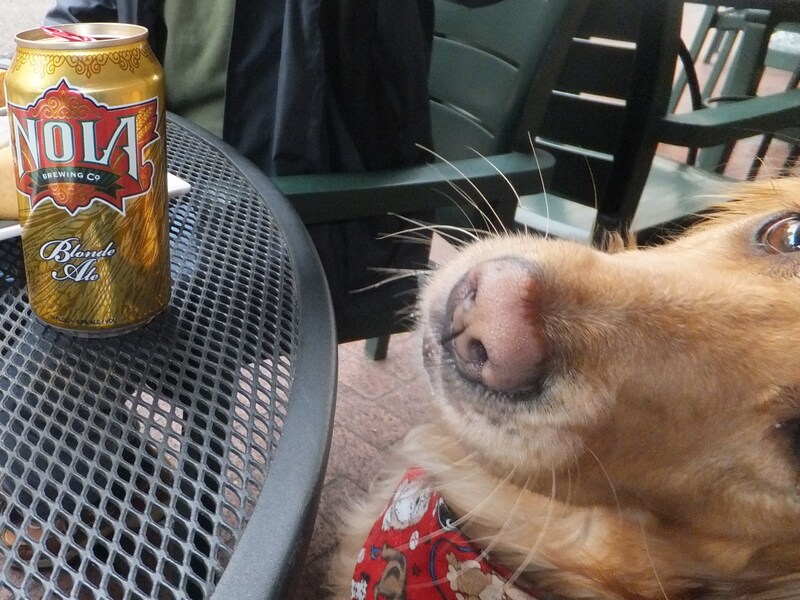 Yes, blonde ale is appropriate for a golden retriever! 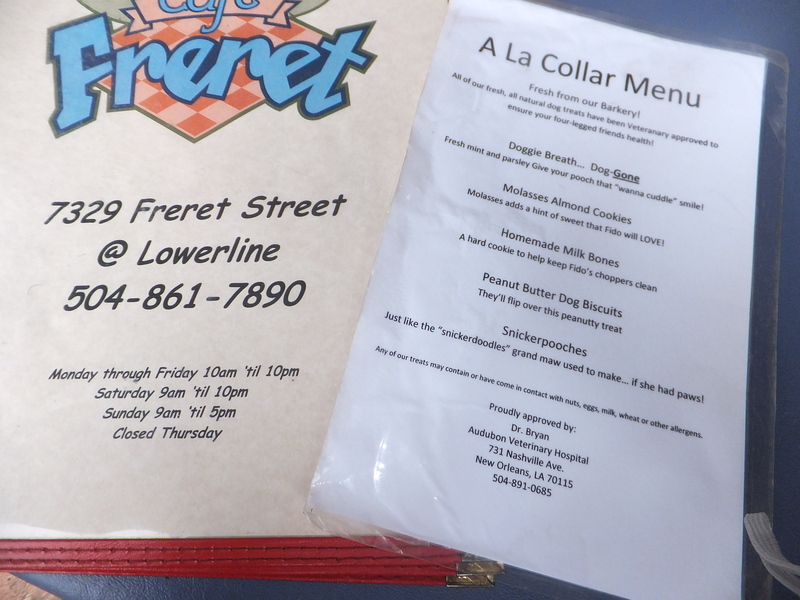 I can’t believe all these places have doggie menus — that is just beyond cute! 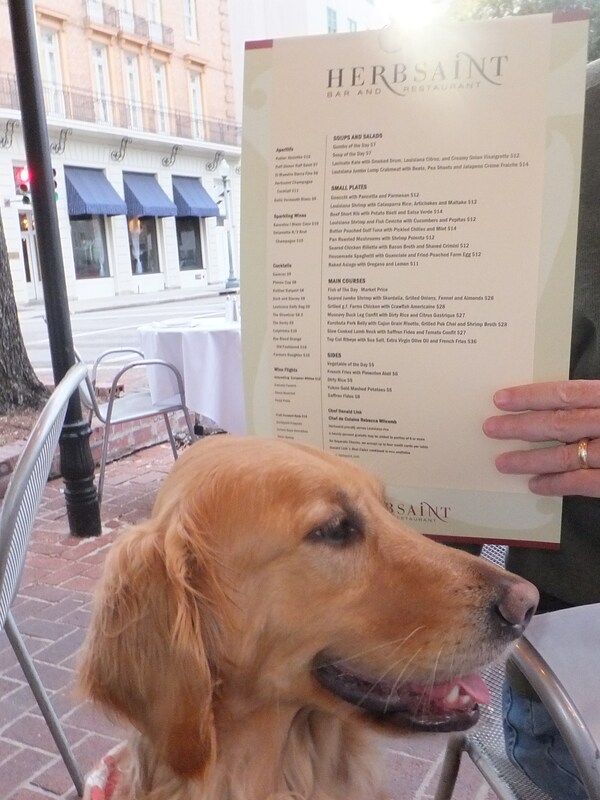 The nice bartender at The District said they are planning on adding a doggy menu. I knew I liked that place! Cannot wait to go back. What a wonderful trip! And you look like the picture of perfect manners. No wonder you are welcome everywhere you go! It was a wonderful trip, and thank you so much for the compliment! Really Miss Harper Lee, I hope my next doggies are as well mannered and polite as you are. I don’t know that I can find another with the exquisite taste you have in scarves and beads, but maybe someday, we’ll come to NOLA and meet and you can give fashion advice. I believe I saw something about the Rock & Roll Marathon coming to Raleigh, I won’t run, but I’ll spectate. My humans say they got really lucky with me . . . I’m an old soul, so I’ve always been a pretty calm girl. You will definitely enjoy watching the marathon. It’s a whole lot more fun than running one and the people who do run it really appreciate the support! I’m sorry you don’t get to join your humans for “date night,” but you do have those gorgeous parks where you get to run free. I wish I had that. And, technically, I’m generally not allowed in rmost estaurants, but I am welcome in the outdoor seating areas. What an amazing time you are having. 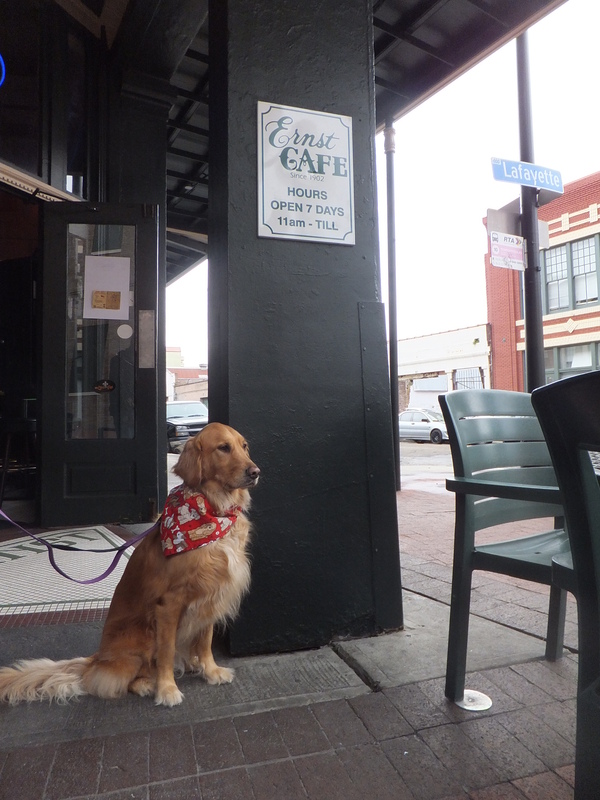 I have always wanted to go to New Orleans and now that I find out there are so many dog friendly places there, I want to visit even more. You are a very well behaved K9 and I’m sure you are welcome everywhere. You would love New Orleans– it’s a beautiful city with great food, great music, and the nicest people you’d ever want to meet. This was actually my second long weekend there, but I’m sure it won’t be my last. 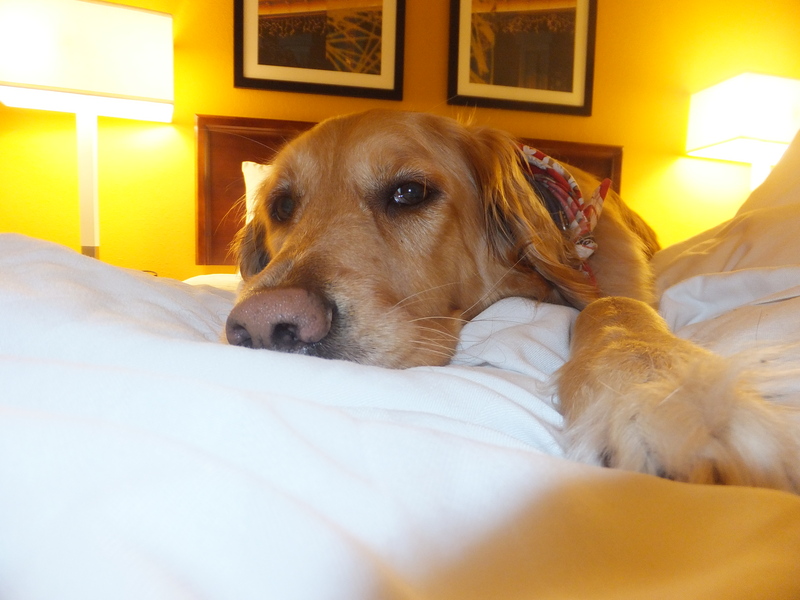 My humans and I have only scratched the surface of all the pet-friendly places and activities the city has to offer. Sophisticated . . . wow . . . such a compliment. 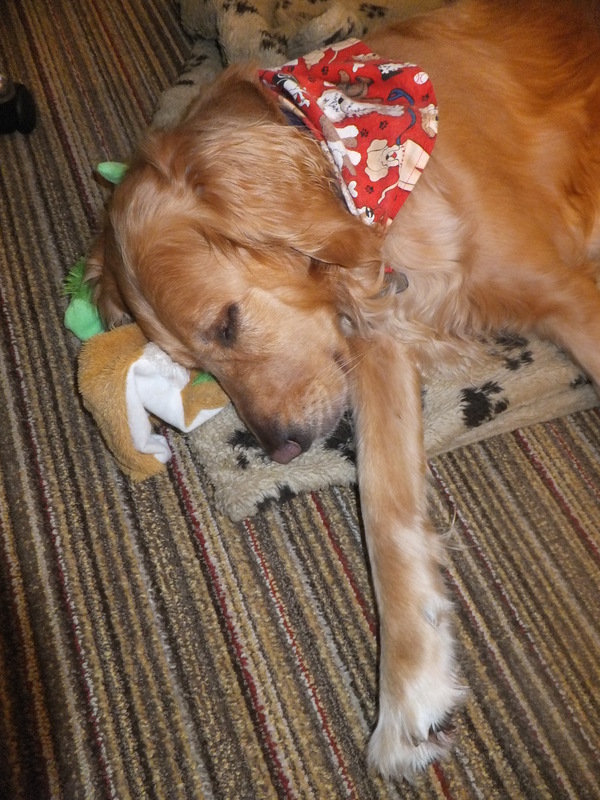 I am a Golden Retriever, so I will always party on, wherever I may be! What an awesome trip…and the NOLA blonde ale…perfect!!!! So glad you have been blessed with such an awesome family!!!! Sending treats and a high paw from Trev!!!! 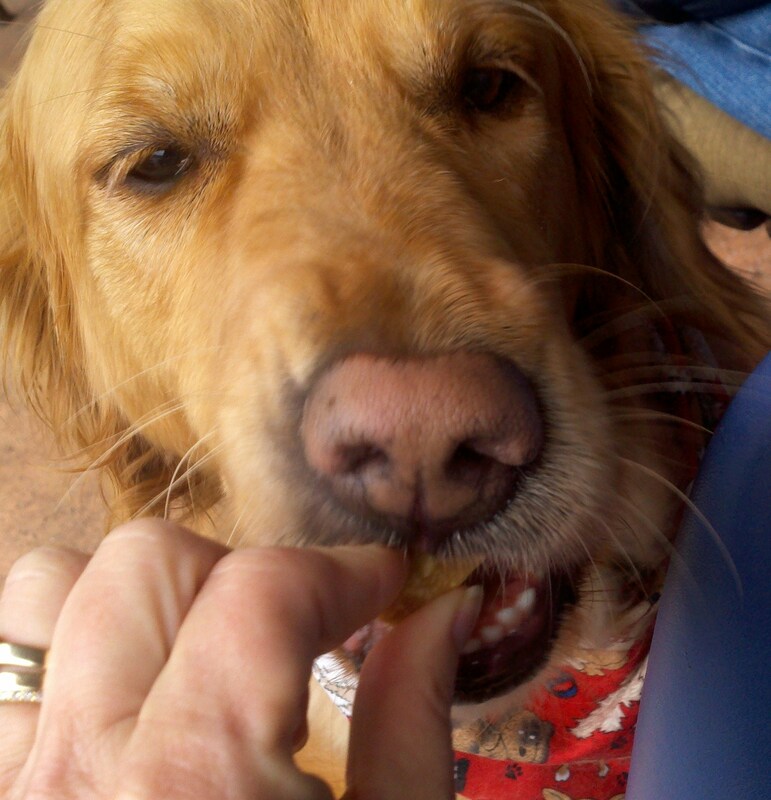 Thanks for the treats and high paw, Trev. It was an awesome weekend. I cannot wait for my next overnight adventure! 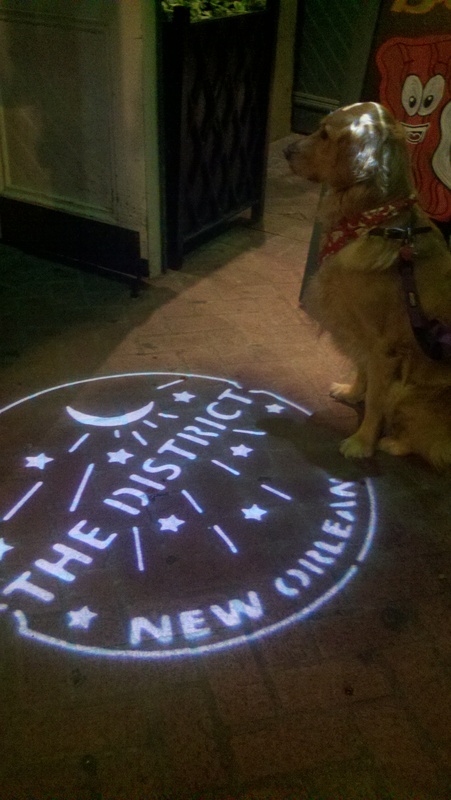 love the pic of you pawtying @ The District!! I loved that place. I was quite popular there. So glad my humans finally thought to ask if I could go in . . . even though I knew I could all along! We used to love going to New Orleans when we lived in Texas. Your post brought back very pleasant memories! 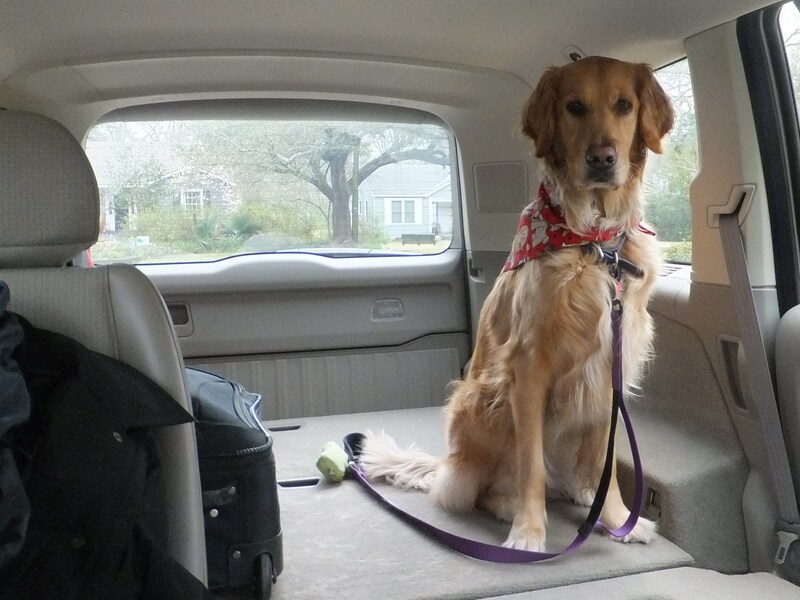 New Orleans is a great city, and very pet-friendly. 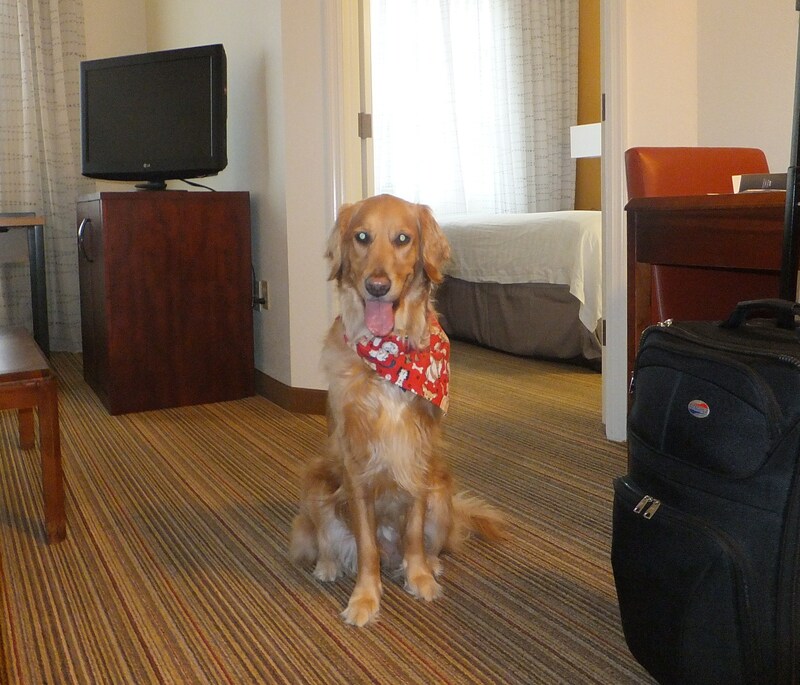 This was actually my second time to join my humans there, and I cannot wait to return! P.S. Sage would have loved it: Lots of rain that weekend meant lots of very fun puddles and mud in City Park for the end of the marathon!